There is good reason why the telemedicine industry continues to experience explosive growth. At a time when the medical community is grappling with how to efficiently and effectively make the leap to value-based care, telemedicine tools deliver the disruptive frameworks needed to turn the corner to better care access, coordination, collaboration, and cost. One telemedicine report points to a growth trajectory of up to 7 million users in 2018. Yet, there is perhaps no greater confirmation of telemedicine's positive impact than recent policy and legislation developments. Along with significant insurance coverage developments in the majority of states, recent movements on the national stage point to better revenue streams for use of telemedicine tools to support chronic care management (CCM). Much of the current commotion relates to Medicare CPT 99091 and 99487—codes that support remote patient monitoring and complex CCM, respectively. A recent nod by the Centers for Medicare & Medicaid Services (CMS) suggests that physicians and clinics can expect greater reimbursement for adopting innovative care models and proven technologies to improve outcomes with high-cost chronic care conditions. Simply put, it's CMS' way of acknowledging the positive impact of telemedicine and incentivizing providers to fully leverage the tools at their disposal. In 2017, Medicare began reimbursing for CCM 99487 to account for extended care coordination time spent with especially complex patients. Reimbursement for this code is higher than CCM 99490 but also comes with the requirement of a higher ask of time. CMS has specifically called this code out for active reimbursement in 2018 to address past billing challenges and encourage providers to have greater involvement with highly complex patients throughout the month. More than just making phone calls and ensuring doctor's appointments, there is a now an incentive to impact outcomes through more intense medical decision making and ongoing medication adjustments and reconciliation. This development is good news for providers trying to balance revenue streams and time spent on chronic care, as Medicare is actively acknowledging the needs of high-risk patients. Additionally, the unbundling of CPT 99091 for remote patient monitoring promises to make CCM much easier. 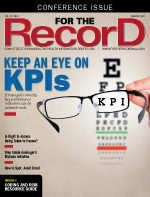 Previously bundled with other services, preventing the reimbursement of monitoring patients using innovative technologies, reimbursement now goes beyond basic appointment monitoring and clinic portal access, encouraging more active remote patient monitoring by rewarding physicians for using technology to care for their patients outside of clinic visits. Consider the mammoth challenge of treating insulin-dependent diabetes, for instance. Managing insulin doses is a daily challenge with various factors such as dietary intake, stress, and physical activity levels contributing to fluctuations in blood sugar. When diabetes is uncontrolled, patients often suffer from severe A1c levels that result in more frequent complications and costly medical interventions such as hospitalizations and emergency department visits. Utilization of telemedicine solutions that enable continuous monitoring of patients' conditions and regular dose adjustments has proven effective in controlling A1c levels, reducing adverse medication events, and improving medication adherence. In the traditional fee-for-service world of care delivery, insulin-dependent diabetic patients might see their providers twice a year. Care delivery models that leverage high-complexity CCM between clinic visits and those that can incorporate remote patient monitoring telehealth tools fill this critical gap in care by augmenting the care coordination efforts of primary care physicians. Notably, a pilot study conducted at the 241-bed CHRISTUS St. Frances Cabrini Hospital in Alexandria, Louisiana, found that a care management model leveraging the DoseDr telemedicine solution reduced A1c levels from a rate of 9.4 to 6.3. Clinicians monitored participating patients remotely, assessing the need for intervention or titration between clinic visits. Daily average blood sugar levels dropped 100 points from 232 to 132 in three months—an accomplishment that often takes up to seven years with traditional approaches. In tandem with better codes for telemedicine and CCM, providers can extract greater value from technology investments by leveraging them for transitional care management (TCM). CPT codes 99495 and 99496 support management and coordination of services for moderately complex patients and highly complex patients, respectively, following discharge from hospitals, long term care and skilled nursing facilities, and other inpatient settings. A one-time charge following transition from the inpatient setting to the community, TCM is most efficiently addressed through collaborative remote patient monitoring and telemedicine services across the 30-day period covered by Medicare. Complex patients receive not only advanced testing and observation in the outpatient setting but also the extra support of transitional telemedicine services—and resource-strapped primary care providers can more easily manage the 30-day window without extra burden. This way, patients at greatest risk of deterioration or adverse events—such as the previously mentioned insulin-dependent diabetics—know what they need to do and when they need to do it, reducing the potential for readmission within 30 days. Telemedicine tools provide a review of medications and indications, ensuring a patient is on the right medications during the transition. The primary care physician sees the patient within seven business days, and the telemedicine doctor continues to manage the patient through the TCM period. Not only does this equation improve outcomes, it also increases patient satisfaction with the process, improving engagement and compliance. Real-time feedback loops offered through advanced telemedicine solutions improve overall collaboration and enhance care coordination strategies. With Medicare actively acknowledging the needs of the highest-risk patients, providers can devote resources for intense management of the most complex conditions and reap the rewards of keeping up with their patients between clinic visits. — Dustyn Williams, MD, is a hospitalist at Baton Rouge General Medical Center and cofounder/chief medical officer of DoseDr.